From time to time we all do things we aren’t proud of, and sometimes the only thing to do is to reflect on the error of your ways, and make sure that whatever line it was that you crossed you don’t cross it again. Over time, this is how we become better people… right? …last week, clearly in the midst of some mild inner crisis and not thinking straight, I made my excuses and bailed out of our regular weekly Wednesday night ride. Don’t roll your eyes…there’s more. I bailed out because of a weather forecast that predicted persistent rain showers, and I didn’t particularly fancy riding in that. Not because I didn’t want to get wet, but because I didn’t want my bike to get wet. I know I should be riding, but my bike is so clean! As the text messages went around the group that Wednesday night planning the meeting place and the route, and the debate began to rage as to whether we would go café-stop or no café-stop (for the record, I’d have been in the café-stop camp), all I could think about was the fact that a few days earlier I’d scrubbed and polished my pride and joy, greased every moving part, and buffed it to a high sheen. Were I to ride it now in the rain, all trace of the hard graft and elbow grease would be lost within about three minutes. Of course, when I made my excuses I didn’t get into all this detail, I simply made vague mutterings about not wanting to ride in the wet, to which my name would no doubt have been dragged through the mid-ride mud (I always knew he was a bit soft, but it’s only a spot of rain…etc. etc.). I suppose I thought that this slanderous questioning of my hard-man (?) credentials was a small price to pay to keep the truth of my pathetic excuse hidden. As it happens, I’d talked my decision through with a work colleague in the office that afternoon and even he, a non-cyclist, responded with eyebrows raised. It was immediately obvious that his respect for me began to ebb away the moment I started to flounder around for an excuse not to ride. As a cyclist in an office full of non-cyclists I’m expected to uphold, at all times, a reputation of stoical disinterest in any excuse given for not riding a bike at every opportunity. And here I was, letting the side down. 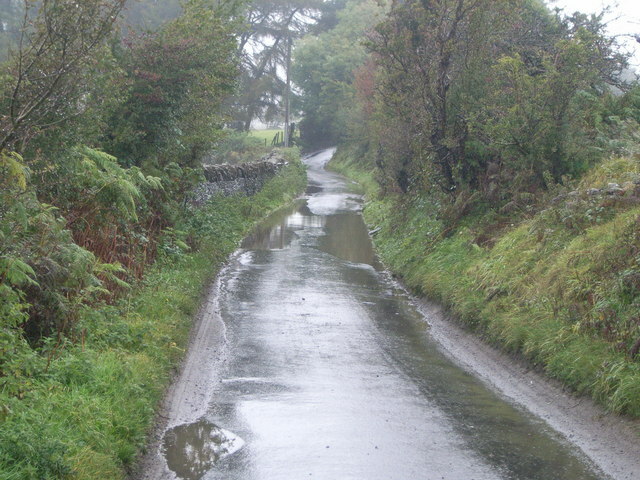 As I sat at home that Wednesday evening, looking deeply into my soul and questioning my right to even consider myself a cyclist, the persistent rain showers arrived as advertised, gradually morphed into prolonged heavy rain, and eventually peaked with a bouncing-off-the-road-and-rattling-the-windows torrential downpour. The thought of my colleagues gritting their teeth and grimacing their way through this weather did, I have to admit, cheer me up slightly. Re-assured that I’d made the right decision, even if I made it for the wrong reasons, I thought of my trusty steed out in the shed; pristine and gleaming. I might even make the same decision next time I’m offered a ride in the rain, only next time I’ll think up a better excuse in advance. Sod peer pressure. Seems a perfectly good excuse to me. A cyclists relationship with his bike is a deep and complex one and care and protection is a valid attitude to take. After winning Paris-Roubaix, Sean Kelly didn’t clean his mud coated bike for days as it reminded him of the race and the win. Completely indulgent and perfectly valid in my book. I expect he had a shower though so the analogy is not perfect. Been there . . . continuing to do that. My bike does a lot for me. Why put it through that when I can ride my trainer and get a good workout? That’s right, although more than one person has already pointed out that I have a winter bike in the shed for just such an occasion. Ah well, im sticking to my guns! Sure, I have a training bike that I don’t mind getting as dirty as my primary bike, but I still want my bikes to look good . . . Feel good, ride good? Ha ha, that’s the aim! Fenders – they do wonders for keeping you, your bike and those behind you clean. I’d be less worried about getting my bike dirty and more concerned about the road/slime juice the bikes in front of me are serving up. Like drinking from a hose. Good point, perhaps best not to dwell on all the nasty stuff I may have accidentally ingested over the years!